Communities: Rowlett, Rockwall, Heath, Garland, Sunnyvale, Mesquite, Sachse, Wylie, Royse City, Fate, Forney, Lavon, Plano, Richardson, Allen and Dallas. "A Team You Can Trust"
After spending the first 13 years of her real estate career training others in the art of real estate sales, Judy decided that she was missing out on the best part of the business, the delight of being personally involved in the pursuit of the American dream. In 1998, she stepped away from training and joined Coldwell Banker Apex. Ken joined her full-time in 2016. Their hearts are in their work, their desire is to do what is best for the client, and their greatest satisfaction is a happy buyer or seller at the end of the day. 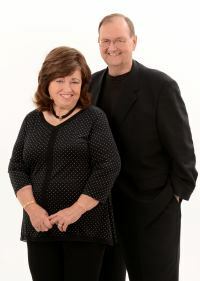 Judy & Ken's goal is to make the process of buying or selling a home as stress-free as possible. In the last 20 years they have seen real estate transactions go from simple to very complicated, and feel that "priority one" is to make each transaction go as smoothly as possible. To work with a team you can trust, call Judy at (972)571-7243 or Ken at (214)957-1544.